Great Britain Under-16s displayed their fighting qualities at the European Championships after enduring a tough group phase in Skopje, Macedonia. With many of the squad competing at international level for the first time, and up against strong opposition, GB have produced some encouraging performances, despite their 1-4 record. Matt Harber’s side claimed their sole victory with a strong performance against Albania, whilst pushing Denmark, Slovakia and Bosnia close in the second half of their respective encounters. GB will now play to finish as high as 17th in the 22-team field with their win over Albania carried through. Great Britain Under-16s showed their resilience in an opening 53-67 loss against Denmark. Matt Harber’s side trailed by as many as 27 points during the contest, but battled back to take the second half 26-20 in a positive finish. Esther Little top scored with 11 points with Jade Guidolin Duncan also in double figures with 10 points. Khia Lee added eight points and eight rebounds, while captain Loren Christie grabbed nine boards, though struggled from the field going 0-of-10. After falling 3-10 behind early on, Brahe Ashton cut the gap to two on the back of a 6-1 run. However, Denmark used a 9-0 response to push clear and they broke clear in the second to lead 44-22. GB battled hard in the third, holding their opponents to single figures with a 6-0 close cutting the gap to 16 points. Another battling period saw the deficit further reduced with Ashana Hinds netting an early three with GB eventually going down by 14 in their opener. 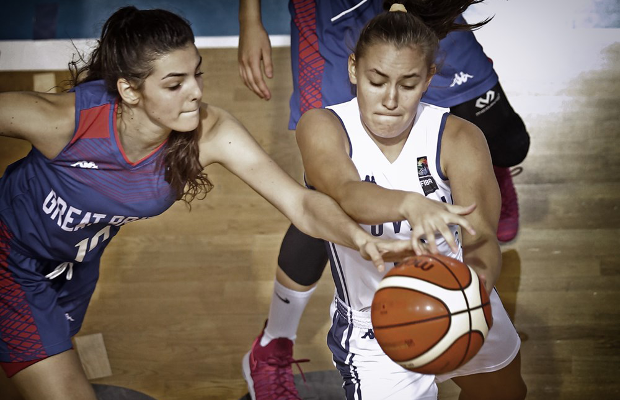 Great Britain Under-16s bounced back in style with a convincing 68-35 victory over Albania to improve to a 1-1 record. Little led the way with a 19-point haul along with six steals, while Christie hauled down eight boards to go with 11 points. GB made a 9-2 start to assert control and extended their advantage with a 13-0 run in the second to go into the half-time break up 37-18. The lead was further increased with an 8-0 burst in the third with GB moving 58-33 ahead before holding their opponents to just two points in the final period to wrap up the win in style. Great Britain Under-16s fell to a 39-79 loss against a strong, unbeaten Switzerland side in a tough encounter. A 10-0 run saw their opponents pull away in the first period, but GB kept things close and were only 19-31 down at the half. GB rallied to cut the gap to single figures at 35-44 in the third only to see a 9-0 run in response. Christie stopped a five-minute drought in the fourth in the midst of a dominant 33-2 spell for Switzerland as they continued their winning run. 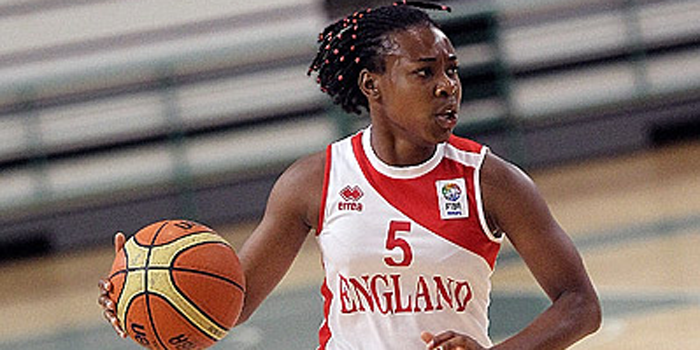 The GB captain put up 16 points for her side along with six rebounds. Great Britain Under-16s saw their fourth quarter fightback fall short against Slovakia as they fell to a 36-47 defeat to end their hopes of advancing. Christie led the way with an all-round display of 10 points, seven rebounds and seven steals. GB restricted Slovakia to 20% shooting in the opening 10 minutes as they established an 11-4 cushion, but the momentum swung in the second with Harber’s side suddenly facing a 21-26 deficit at the break. The gap ballooned to a 16-point differential by the end of the third before GB hauled themselves back in contention with a 12-2 start to the final quarter. However, Slovakia hit back with a dagger three to stave off the fightback with a 5-0 close sealing the game. Great Britain Under-16s suffered their fourth defeat to end the group phase, but put up a brave fight in a 43-56 loss against Bosnia and Herzegovina. After conceding the first 10 points of the game, GB were on the back foot and after halving the deficit, another 10-0 run saw Bosnia break away to lead 27-13 at half-time. GB were back within nine in the third and closed the gap further to just five points at 33-38 before back-to-back triples in reply as Bosnia stemmed the tide to run out eventual 13-point winners. Baker top scored with eight points, while Christie added seven points and eight rebounds with Little collecting nine boards.